Sunshine Montessori school was founded in July 2006 to teach children from the age of one and a half years. 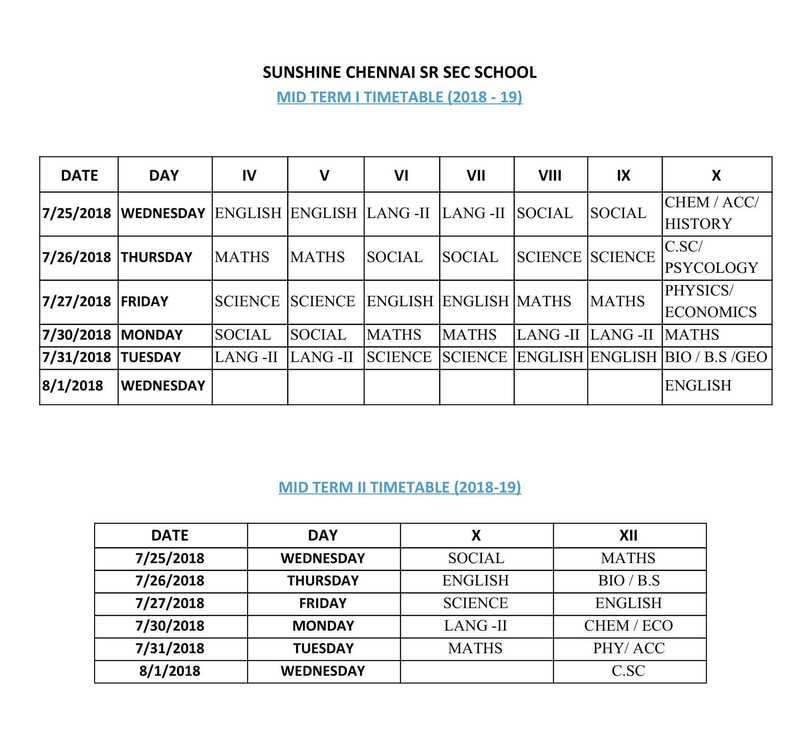 A new building was constructed in 2010 by obtaining NOC from the State Government No: 39590/G1/S2/2010, dated: 21.06.2010 and also affiliated to CBSE with all the facilities at Madipakkam, which is known as Sunshine Chennai Senior Secondary School’, with an honest intention to create a unique and holistic learning environment for children. It endeavours to provide every child an enlightening experience to self – actualize. A child’s first step, first word, first school are milestones that remain etched in every parent’s heart. At Sunshine Chennai Sr. Secondary School your child will enter the world of Letters to take great strides towards success in life. The remarkable and enduring experience here will equip your child with all the skills that will lead him / her to great achievements in life. Sunshine Chennai Sr. Secondary School has grown in stature and maturity enabling it to tap the talent and potential of every child in the past 5 years. In academics and in personally growth, your child is in safe hands of professionally trained teachers. Perseverance, patience and loving nature of our teachers will give your child the feel of home away from home. 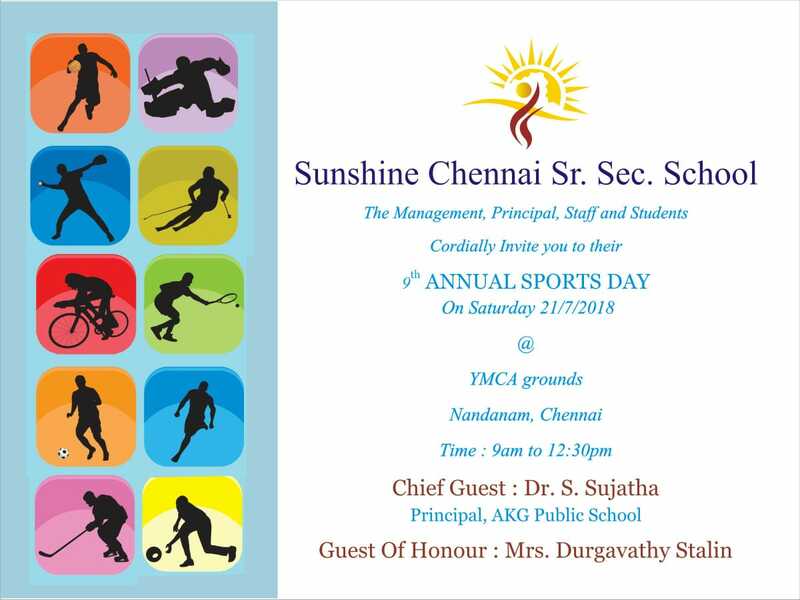 Since its inception in July 2010, Sunshine Chennai Sr. Secondary which started with one child is now housing around seven hundred adorable students ranging from 5 yrs to 15 yrs of age. We believe that each child has a talent or potential that earns for expression and recognition. The Chennai Sr. Secondary teaching methodology that we follow is an extremely successful and accepted phenomenon that is generating a responsible and socially conscious generation. A sound foundation is built through independent problem solving capabilities and social responsiveness. The well prepared environment and curriculum allows the child to become self-directed, learning responsibly and progressing at his / her own individual speed. The children develop qualities of responsibility, love of learning, self-expression, confidence, consideration for others, and a positive self-esteem in a natural manner.This year the school has extended the Montessori method of learning to Class I besides following it in the play group school. Also, the school has been upgraded as Senior Secondary School with the CBSE extending its affiliation upto +2 stage. We follow the Central Board of Secondary Education (CBSE) syllabus, widely regarded as one with the most enlightened outlook and curriculum within our education system.